It was an amazing atmosphere at the LGCT GP in the GNP Mexico Jumping. Full of Mexican feeling, the show was crowded, the weather was perfect and the riders gave an even better show than expected. 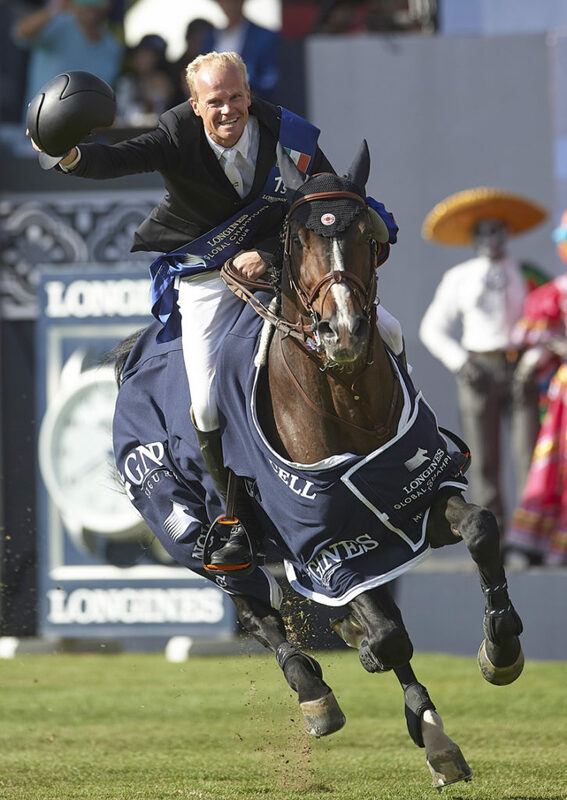 The Global Champions League has also played a leading role today, with the second stage at Mexico’s venue. Shanghai Swans, with Daniel Deusser, Shane Sweetnam and Peder Fredicson, won the qualification and lead the provisional classification of the league. However, not everything has been joy in the class; the Valkenswaard United team is left with a bittersweet taste, since after the two clear rounds of Bertram Allen and Alberto Zorzi in the first qualifier on Thursday, Zorzi’s mare Contanga suffered an injury when landing from the first element of the double, which made her hit the vertical. The mare was not able to continue and things did not look good for Contanga; however, the veterinary team were immediately on the scene and took all precautions to ensure the best care for the horse. Once back at the stables it was confirmed Contanga had a soft tissue-related injury, from which she is expected to make a full recovery in due course. In the CSI2*, the 1.35m class has had an unquestionable winner, the young Mexican rider Martina Francos, who came out first and maintained her leadership until the end. Tomorrow with the final classes of the CSI2*, the CSI5* LGCT GNP Mexico Jumping will close a weekend full of sport, three intense days of competition, mixed with the purest Mexican atmosphere that makes this venue a very special one, in which all the riders agree that it is one of their favorites.